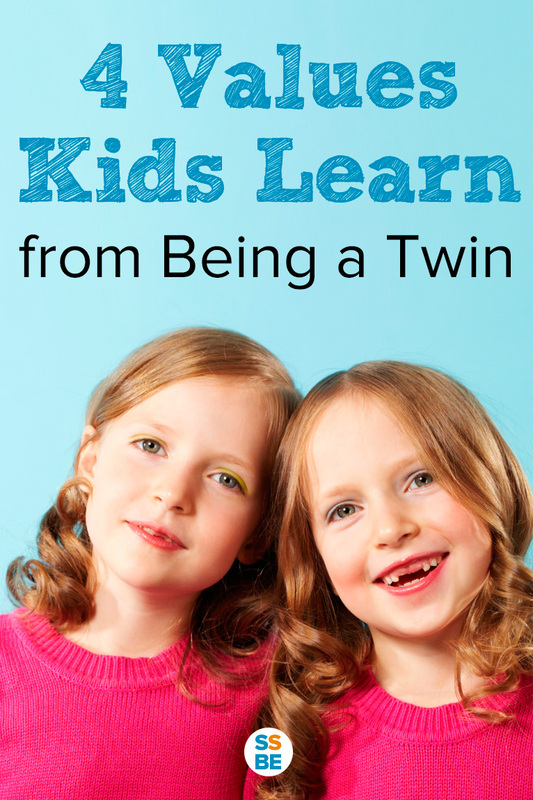 4 Essential Values Kids Learn from Being a Twin | How Do You Do It? 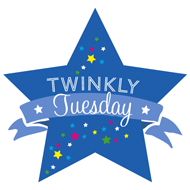 Today’s guest, Nina, is a working mom to three boys—a five-year-old and toddler twins. She blogs about parenting at Sleeping Should Be Easy, where she writes everything she’s learning about being mom and all its joys and challenges. She also covers topics like how kids learn, family life, being a working mom and life with twins. Visit her at www.sleepingshouldbeeasy.com. When I found out I was expecting twins, I worried about the challenges of raising them. How was I going to afford two babies? What madness would my body go through carrying twins? How will my then three-year-old react to welcoming two new siblings? And how in the world am I going to survive the newborn stage—times two? With all these worries, I had a difficult time convincing myself of anything positive about twins. Fast forward two years later, and those challenges were well worth it. However difficult caring for twins may be, I love being a twin mom and the benefits of raising them. But then I realized that not only was I benefiting from having twins, but so were they. In many ways, my twins are learning important values because they’re twins. Sure, singleton kids can learn these as well, but twins face and own these values much sooner. From birth, each of my twins didn’t get the same amount of attention we showered our eldest with when he was our one and only. Not only did they have to share attention with our eldest, they also had to share it even as newborn babies with each other. Few newborn babies ever have to deal with that. All through infancy and into toddlerhood and beyond, twins learn the value of patience. There’s just no way they can get everything they want right this second. Maybe one wants to read a book but mama is changing the other’s diaper. Strapping one child into a car seat means the other has to wait for his turn. For every task done to one twin, the other must wait. My boys squabble every day. But with every fight, they understand more about the art of compromise. They learn the concept of turn-taking from the get go. Sharing becomes a part of our family dialogue, as it must be if you have a twin. And they know that if you want something the other has, a great way to get it is to give him something else just as desirable in exchange. Having a same-aged child next to you every day is bound to test and improve your level of compromise. Growing up with a twin means having an instant partner in crime. You’re in this together, going through the same challenges. While being part of a twosome can be a test in self-identity, being twins means having a lifelong sidekick. You also have someone you need to watch out for, and a comrade to face the same challenges right along with you. Perhaps most importantly, twins learn the value of being a good friend from the get go. They’re thrust in social situations with another child the same age. They learn social cues such as when to back off, when they’re wanted and how to make others feel better. They empathize and put themselves in another person’s shoes effectively. They realize that they are, in fact, not the center of the universe and instead must consider those around them. And they’re compassionate. A twin is likely to offer a crying brother a beloved stuffed animal in an attempt to make him feel better. He’ll call, “Come!” to his twin, excited to show him something cool. And they’ll have each other to laugh with over things only they can understand, every single day. Can’t beat that. Raising twins is hard for parents, and being twins can be just as challenging for kids. But it’s not without its benefits, some of which they learn early on. They learn patience and compromise from having another person to consider. They understand the value of teamwork and being in this together. And they know how to be a good friend, both to one another and to those around them. Having twins has been a blessing to me as their mom. But being a twin has also taught my kids valuable lessons they learned from having one another. 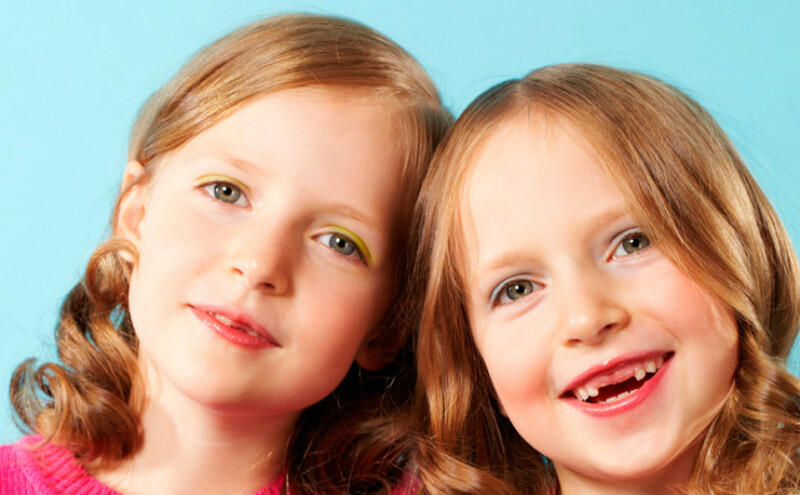 What benefits have your kids learned from being a twin? Let us know in the comments! This is a great read. I always go crazy when my boys are not sharing things and will try to get the things that the other has. I am still on a learning process on how to deal with it. But sometimes they are sweet with each other. Crazy! Neri Ann, that’s my boys on a daily basis! One thing that helps is focusing on turn-taking. My toddlers are now getting used to the concept that once the other one is done, then it’s his turn. Still, it’s a learning process like you said, and they nearly every day want what the other has. Tove, that’s great you’re teaching your kids to learn how to share. I also refuse to buy two (or three) of everything. I even read a study that less toys is actually good for siblings. They learn to compromise and take care of their items not to mention sharing and turn-taking. Because if there’s just one item, they have no other choice! What a fantastic post! While we sometimes lose sight of these amazing traits our twins are learning, it really is happening. Thank you for such a great and positive post. Great points Nina! I think siblings are one of the greatest learning curves a kid can have. I learned so much from my siblings, even though none of us were twins. Nowadays, I love seeing my children learn lessons from one another! Thanks for sharing a sneak peak into your family dynamics! Thanks, Jen! Yup, I always tell myself I think it’s great I shared a room with my sister and that I had a bunch of siblings to fight (and learn to get along with, of course!) with. And now I’m seeing the benefits with my twins and also with the twins and their older brother. And as a non-twin mom I see so many benefits to my kids from having each other. Life skills here! Right on, Tamara! I love that mom’s perspective. Because once they’re a tad older then the kids can really play with each other. Siblings are the best! Our kids are probably close in age. I have a just-turned-5yo, and her b/g sibs are 2.5. And yeah our kids are very much close in age. My eldest is about 5.5 and the twins are about 2.25 lol. Oh I SO hear you on this. I have triplets and they have learned compassion, problem solving, patience and that life is not fair and it is full of compromise. They have learned to be grateful for things they are given because they know it is special to have something just for them. Great post – thanks for sharing your insight. Wow triplets! Debbie I’m bowing down You’re right, and I love that phrase that they learn life isn’t fair. It isn’t especially when they want something right then but have to wait because it’s brother’s turn. We are just starting the sharing phase with mine. Some days they totally get it and you can see me beaming with pride from across the room, then other days not so much (and by not so much I mean hitting and yanking the desired object out of other twins’ hands). It’s a process that’s for sure, but having twins is basically awesome. I don’t have twins, but I do have three kids sharing a room. As much as it irritates me when they fight, I know they are learning valuable skills about conflict resolution. At least that’s what I tell myself. You’re not alone, Rabia People are still amazed to find out my three kids share a room. Makes for great conflict-resolution right? My twins are 13. Several years ago my friend said my girls did not know how to take turns. How ridiculous! They have been taking turns all their lives. I didn’t say anything at the time. But it really made me mad. Wow Vicki that’s some crazy comment to hear! I wonder what made your friend think that way. Thanks so much, Becky! They truly are friends from the start. Thanks! I also worried about not being able to spend a lot of time with each individually, but even now I manage to still sneak in a few moments of one-on-one time with each one. And yes, it’s so nice to see them having someone their exact age to play with. It’s one thing if you have an older brother who is more mature to let you have it your way, but when you have the same-aged kid who wants the same thing, it can be a challenge and a learning moment! I noticed the patience right away in a set of baby twins I met a few years go. They waited so patiently in their high chairs as their parents got their birthday cake ready. It was remarkable, hehe! Being the same age, the twins will also are developmentally more equal in the realm of learning how to compromise (so I’ve read) so that’s good. They have the added benefit of an older brother who can teach them a thing or two as well. For sure, Lisa. I’m amazed too at their patience at the dinner table. They’ll just sit there while I cut up their food haha. My girls were heard, in their first year at school as they were at the back of a heaving rabble, to say “Just wait. Everyone will get a turn”. Sadly this is not always the case but now 30 years old try are lovely considerate people. What a wonderful post. While I don’t have twins, I can see how these would be so true.